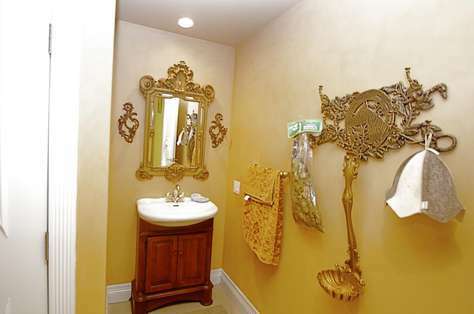 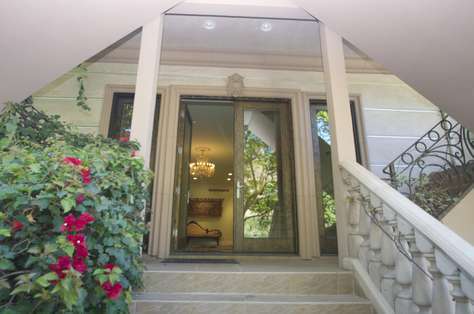 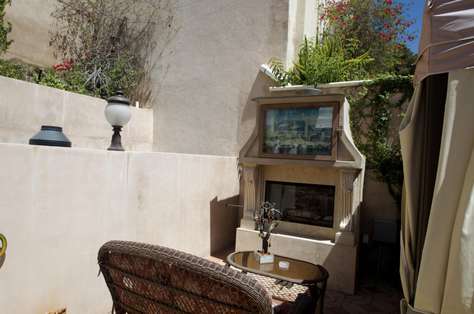 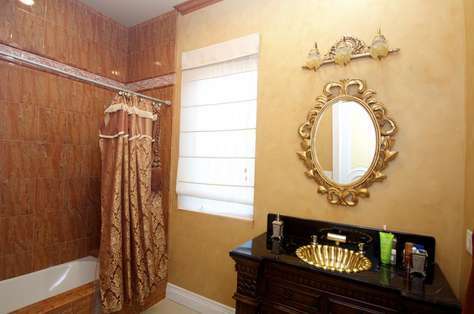 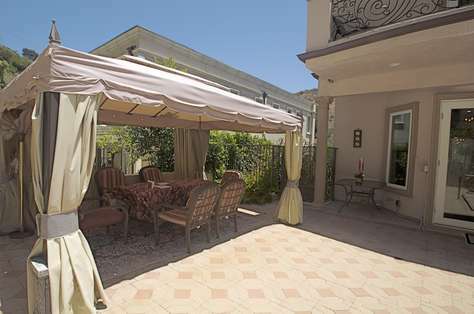 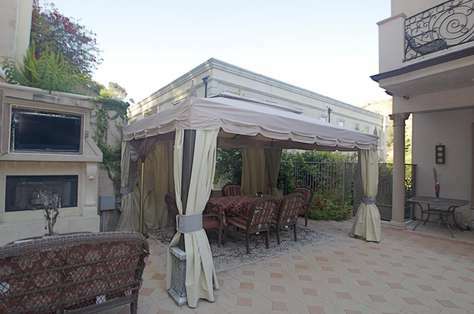 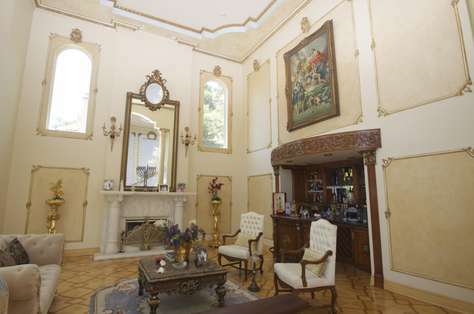 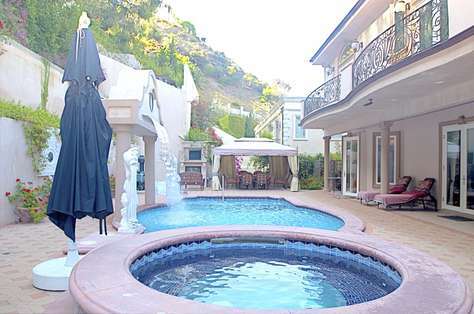 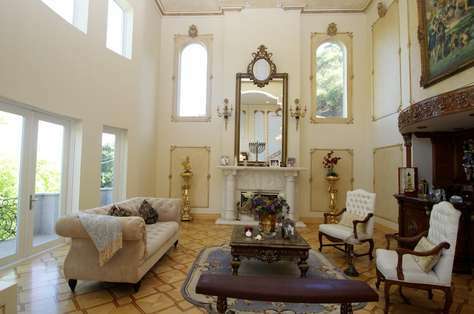 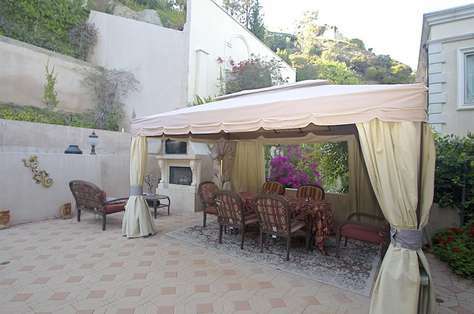 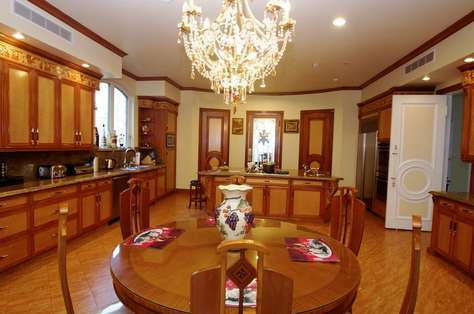 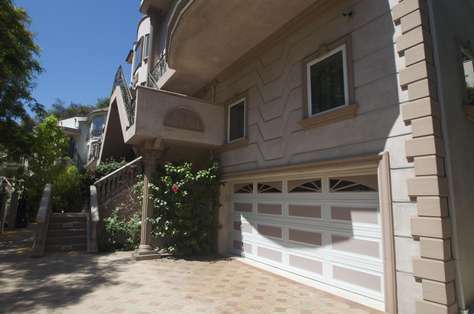 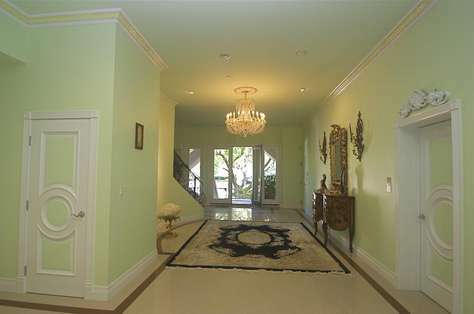 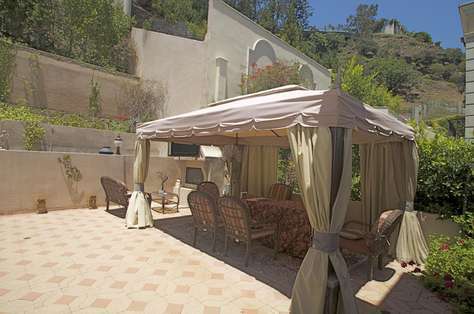 This Gorgeous Luxury Beverly Hills Mediterranean Villa will excite whoever is fortunate enough to rent this home. 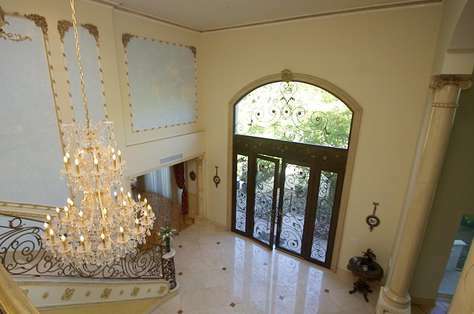 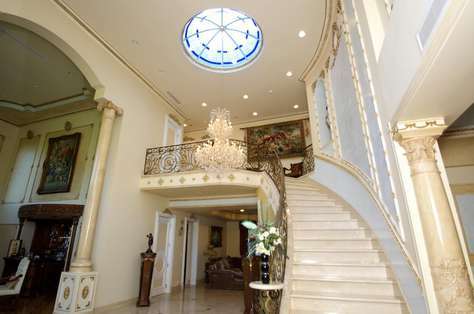 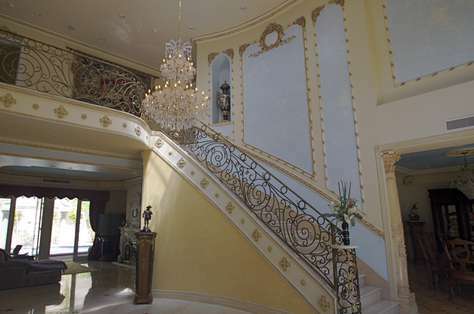 What a grand way to come home in beautiful Beverly Hills California. 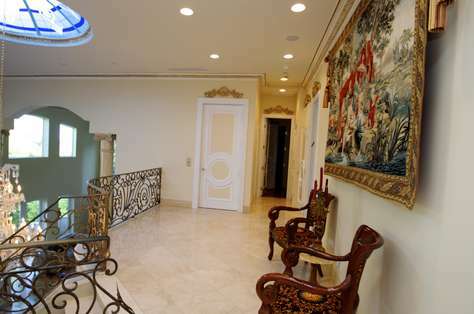 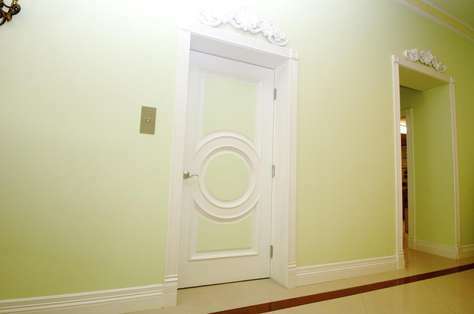 The Gated Villa includes 5 bedrooms and 6 1/2 baths, A stunning Entryway with custom, luxury furnishings , decorations and marble floors throughout the home. 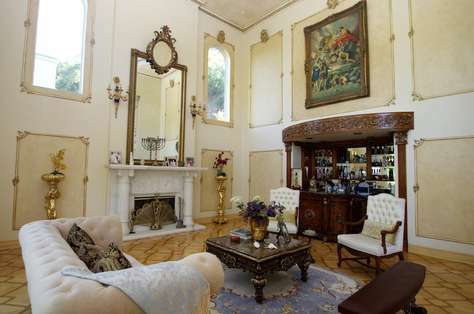 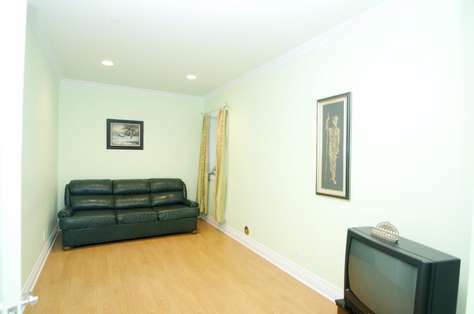 The sitting room has a bar area great to relax and unwind after a busy day in the City of Angels. 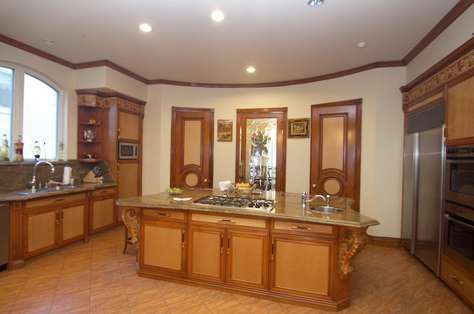 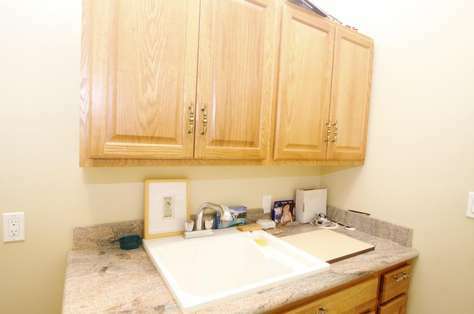 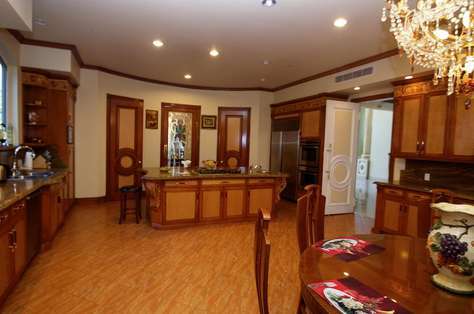 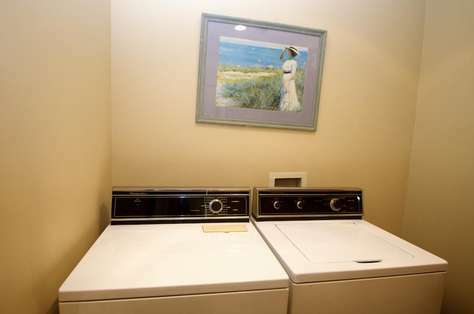 The Kitchen is very large with the highest quality design and appliances. 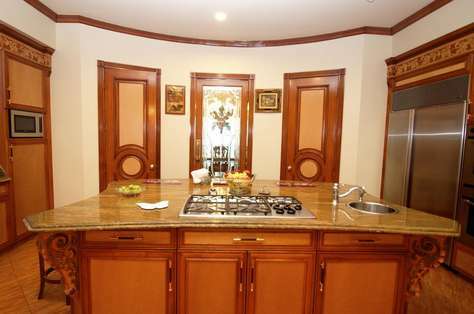 The breakfast nook is perfect for the Morning coffee and treats. 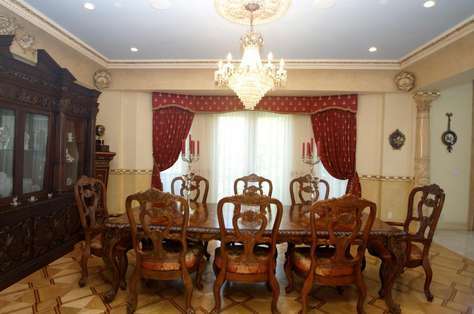 The formal dining room area is complete with an elegant chandelier and the design of the room will dazzle your guests. 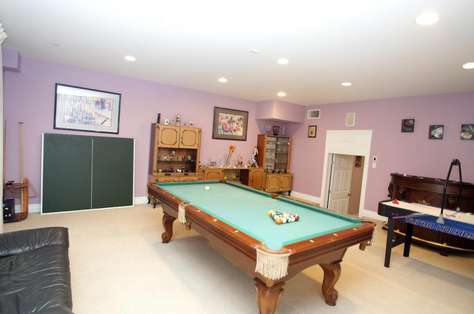 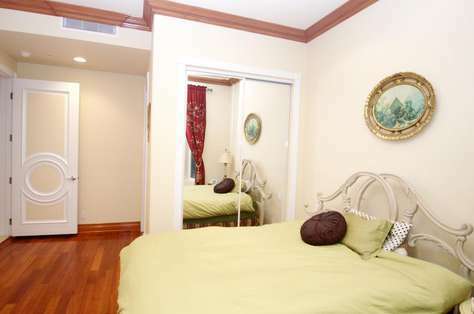 Also on this 2nd floor level is a den and 2 bedrooms and baths. 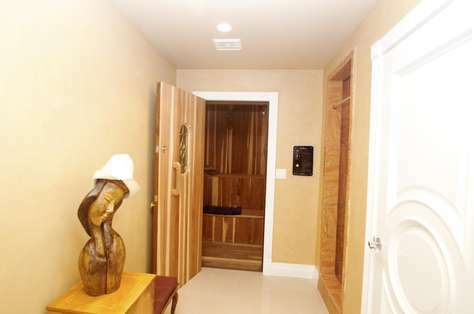 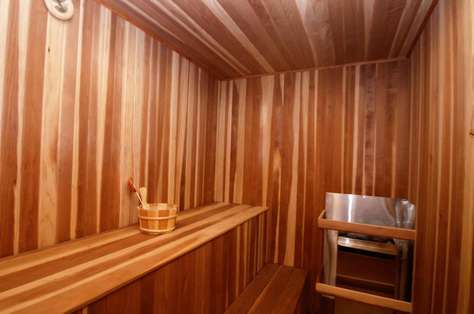 Down the stairs, or why not take the elevator, there is a japanese sauna, game room , theatre and maid's quarters that opens up outside to a spectacular private swimming pool area and spa. 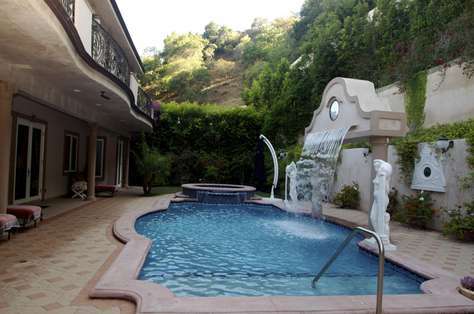 There is a comfortable Cabana, Barbecue and TV area and a one of a kind Waterfall feature for the pool in the back of the Villa. 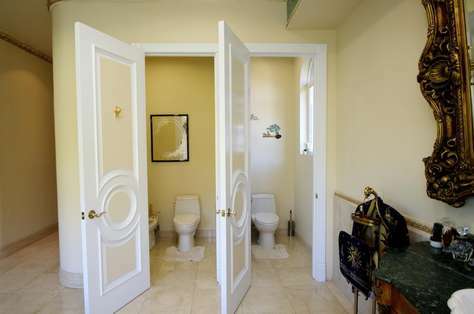 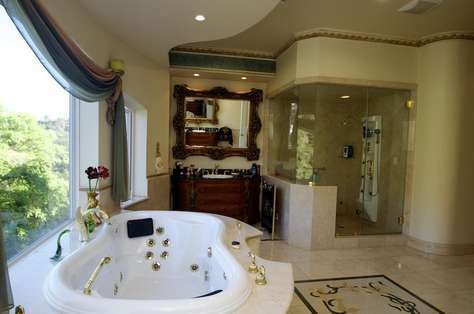 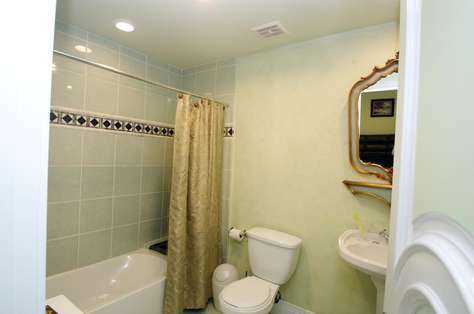 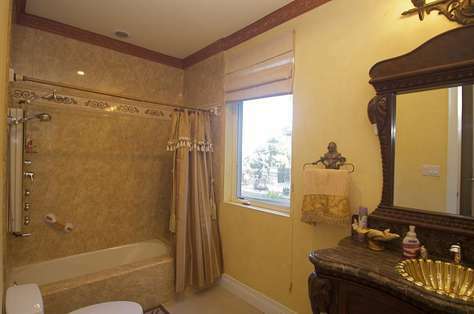 On the 3rd floor is the Master Bedroom and ensuite bath complete with his and hers vanities, a marble shower, his and hers commodes, bidet and a large jacuzzi spa. 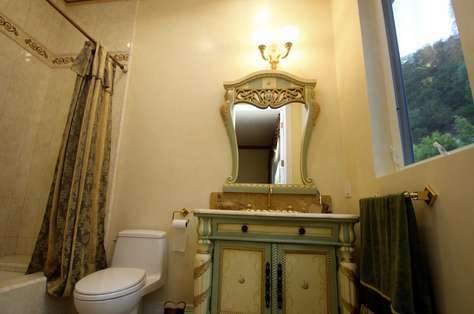 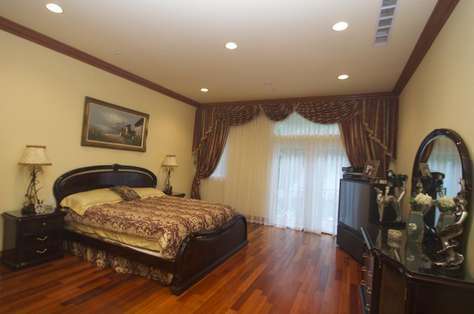 Another large bedroom and bath is across the beautifully decorated hall. 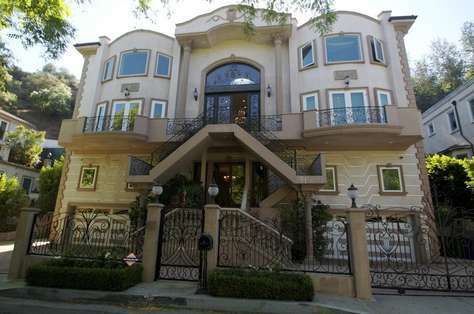 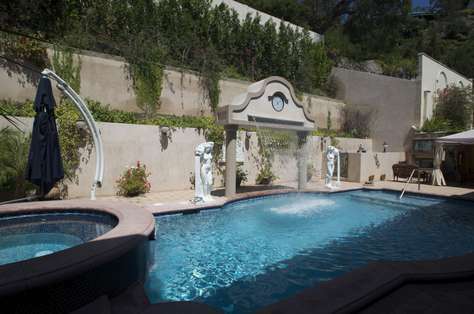 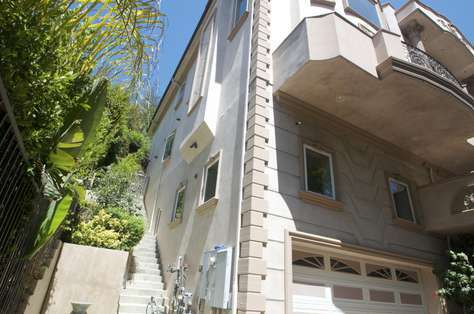 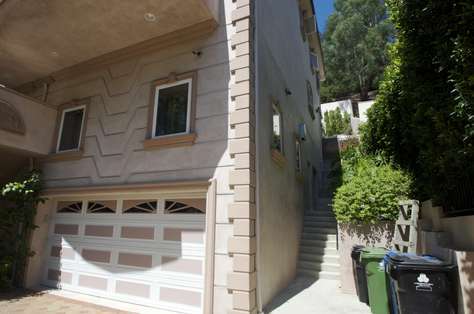 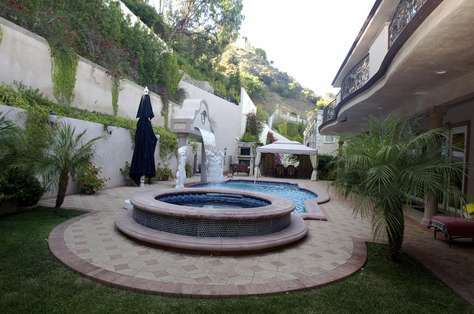 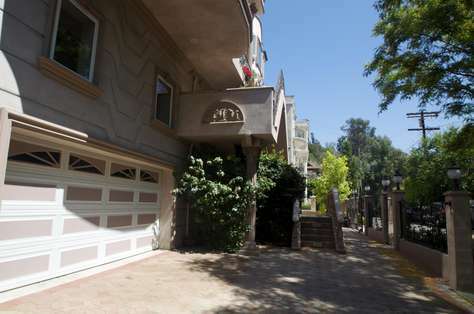 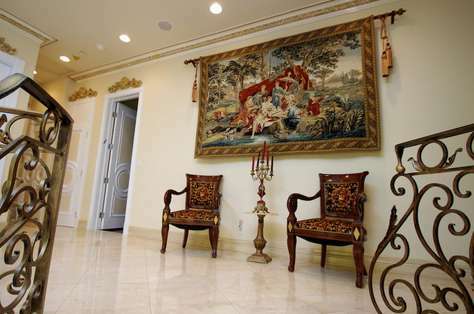 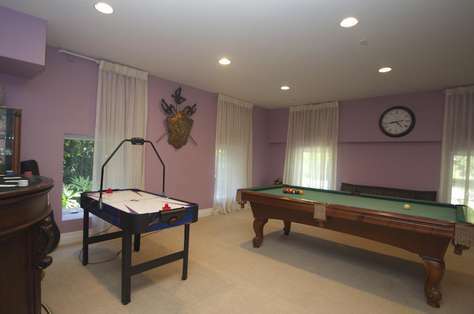 This amazing villa is located in the best area of Beverly Hills and is the best of the best.